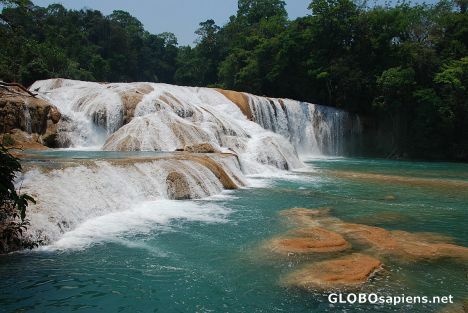 Located near Palenque, it consist of a serie of waterfalls. The Blue of the water was amazing!! And the white veil of water is it as well - gorgeous pic!